Friends of Baroque Dance in Chicago | The New York Baroque Dance Co.
1. Enjoy discounted admission to public baroque dance classes and an annual ball. 2. Support the training and development of professional dancers in the Baroque style. Can you imagine small performances in places outside of the concert hall such as the Chicago Botanical Gardens or the Morton Arboretum? 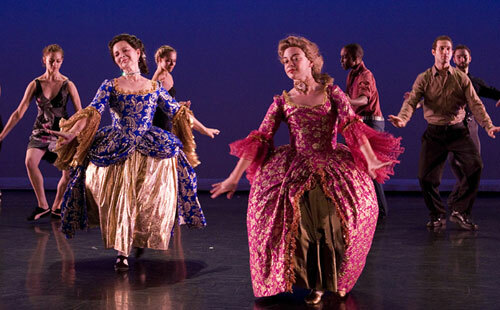 Then become members of the Friends of Baroque Dance in Chicago! Membership dues $75 with a Special student rate $25 for those enrolled in high school or the university.